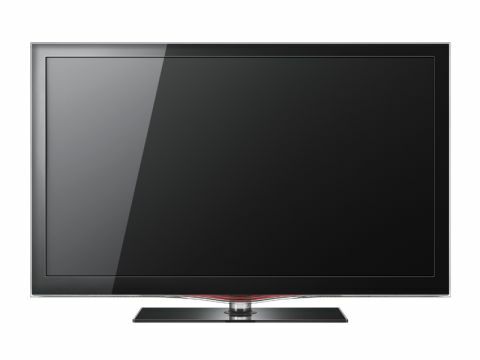 LCD TVs souped-up with LED backlights have taken over from 'normal' LCD TVs, right? Not if this model from Samsung's Series 6 is anything to go by; packed with the brand's very latest multimedia features and online trickery, this 40-inch LCD TV sports excellent pictures and an all-round usability that helps put the ageing liquid crystal display tech back on the map. Available for around £800 online, the LE40C650 features a Full HD panel alongside HyperReal picture processing, a Freeview HD tuner, Samsung's own Internet@TV online platform and AllShare DLNA streaming over a home network. Not bad for a 'budget' TV. Despite that tempting haul of features, the LE40C650 is actually near the bottom of Samsung's line-up for 2010. For £200 or so more, the step-up C750 Series adds 3D compatibility and 200Hz Motion Plus, but little else, while Samsung also makes four separate ranges of LCD-LED TVs and plasmas. Its status is further raised by its stylish appearance. Samsung claims that the LE40C650 'crystal' design 'captures the essence of natural beauty'. To describe the gloss back screen surround and transparent lip as such is overdoing it a tad, but the TV's red-tinted undercarriage and transparent desktop stand is a Samsung signature and ought to have wide appeal. Another nice flourish is that the rear of the screen sports a metallic finish, in contrast to most brands' reliance on cheap plastic.